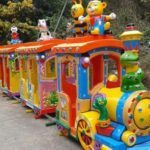 Coming up with creative ideas for a child’s birthday party can be challenging. 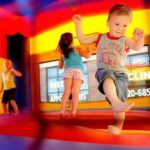 One option that many parents turn to is renting a bounce house. 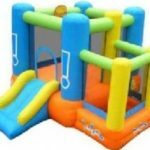 These fun houses can be inflated in your yard, providing a place where kids can jump around and burn off energy, while having a great time. 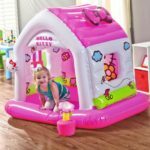 If you are planning a party for a little girl, you should definitely consider going with a pink princess carriage bounce house. What little girl doesn’t love princesses? There is nothing quite as magical as seeing her eye light up when she walks out into your yard and sees a perfect princess carriage awaiting her. 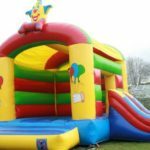 Renting one of these beautiful bounce houses can creating memories that will last a lifetime. 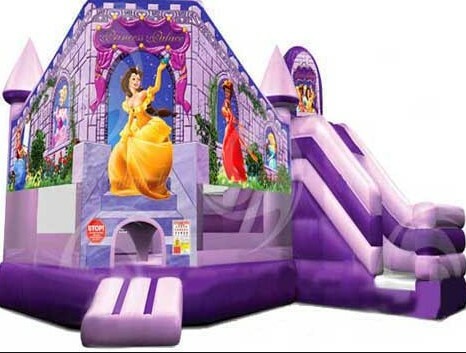 If you do decide to rent one of these bounce houses, you should consider centering the entire theme of the party around princesses. Start by picking up tiaras that the children can wear during the party. Add some sparkly wands and costume jewelry to finish off the look. For decorations, put out pretty little teacups for beverages, a pink tablecloth and pink princess-themed party plates. Consider hanging a pink or purple canopy over the table with streamers coming down from the edges. This works especially well if you are holding the party outside since it provides a beautiful, shady place where the kids can enjoy their food and drinks. If you want, you can even hang a p ta outside. Kids love swinging at p tas and breaking them open to reveal the candy that is hidden inside. 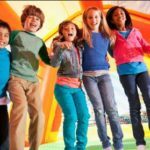 This can be a fun party game to add to the mix if kids need a break from bouncing. Pink and purple balloons are also perfect for decorating. Inflate them and group them in bunches of three or four around your yard. You can even put some out in front of your house to make it easy for guests to find the party. 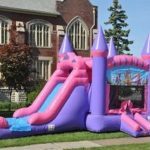 Creating a magical and memorable birthday party for your little girl starts by renting a pink princess carriage bounce house. Seeing the excitement on her face when she walks outside and sees a beautiful carriage fit for a fairy princess waiting in your yard is a moment that you will cherish forever. There is no better way to show your little girl how much you care than by planning the perfect party to celebrate her special day. 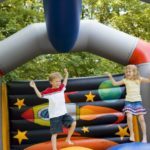 Can A Bounce House Help With A Party Rental Business?